Looking for a Career Option in a Mattress Store? The Secrets to a Successful Career as a Mattress Salesman! If you want to embark on a career in the mattress industry and make a name for yourself as a mattress salesman, then you should understand that you are embarking on a career full of responsibility. Selling mattresses is a difficult job because there are plenty of different types of mattresses which serve several different functions. Different people require different types of mattresses, and you must be aware of what specific benefits each type of mattress has. In this article, you will learn some of the most important considerations which you need to make when you want to buy a new mattress. Twin size- 39" x 75"
Queen size- 60" x 80"
King size- 78" x 80"
California King size- 72" x 84"
Regarding the matter of the thicknesses of these mattresses, standard thickness is of 7 inches deep. However, these days the recent trending pillow top mattresses can go almost 24 inches deep. Memory foam mattresses are also between 12 inches to 14 inches in thickness. The type of mattress: There are different types of mattresses available in the market today, like the traditional spring coil mattress, foam mattresses made of memory foam, latex mattresses, air pressure mattresses, pillow-top mattresses and air pressure mattresses. These mattresses differ in the material they are made from, and as a salesman, you must be particularly aware of these intricate product details. You must also be aware of the specific benefits which each type of mattresses offers. Some of these mattresses offer health benefits also, like relieving back and neck pains. 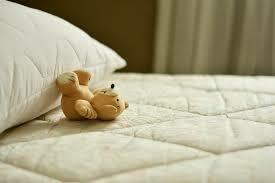 Firmness: Firmness is one of the prime selling points of a mattress. You should know how firm your mattress is and if it can offer the specific benefits that a customer is looking for. A firm mattress is not suitable for everyone, try to keep mattresses of medium firm as they will be suitable for most people. Why is a good mattress important: You must know this if you want to become a salesman for a mattress company or a store. You will have to convince your customers that they need to buy good quality mattresses and for this, you need to be convinced yourself first. Do proper research on the importance of a good mattress in helping people to sleep better and improving their lifestyles. Leesa Mattress can be a good choice for restful sleep and ensure comfort and ultimate support. Mattresses are an essential aspect of one's lifestyle; a good mattress can improve a person's health considerably. If you want to become a mattress salesman, you must know all the details and benefits of mattresses.